USA to meet Canada for gold The Germans have made an impressive splash here in Plymouth, but in tonight's semi-finals they weren't up to the task of competing with the reigning champions. Canada swamps Finns, 4-0 Leaving nothing to chance, Canada came out firing on all cylinders and never let up. 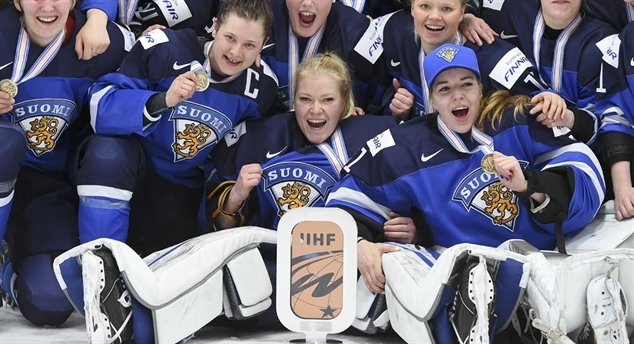 The Finns have had a great tournament but couldn't match Canada's speed. 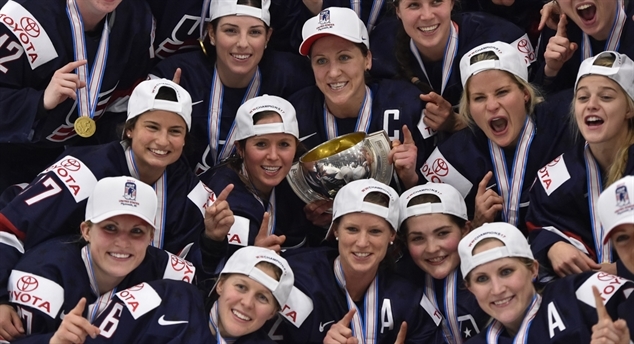 Play women’s hockey trivia So you think you know your international women’s hockey history? See if you deserve a gold medal by doing the following quiz with 10 trivia questions. A moment with Mel Mel Davidson might be listed as the general manager of Canada’s national team programs on Hockey Canada's website, but she’s much more than that. UMD on full display The Women’s Worlds is a showcase for excellence in women’s hockey, but it is also an event for celebration for families and friends. 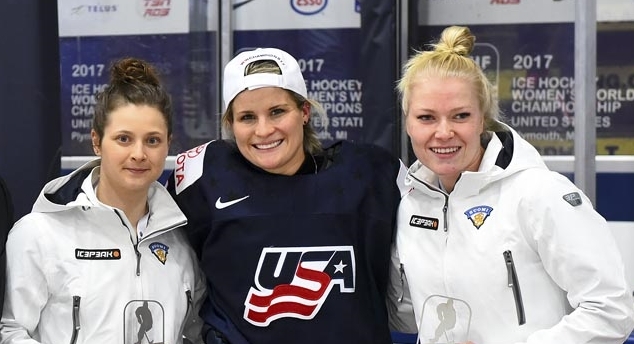 Hertrich a gold veteran In 1990, when the IIHF introduced women’s hockey to its program, the World Women’s Championship was referreed mostly by men. Germany does it! It's official. Germany is the Cinderella team of the 2017 Women's World Championships. It has defeated Russia, 2-1, and qualifies for Thursday's semi-finals.